Plasti-Bond offers a complete line of PVC coated conduit, fittings and accessories to provide resistance to corrosion for your electrical raceway systems in the most demanding environments. Manufactured in the U.S.A., ISO 9001-certified Plasti-Bond complies with all standards mandated by UL6, NEMA RN-1, ANSI C80.1 and ETL PVC-001. 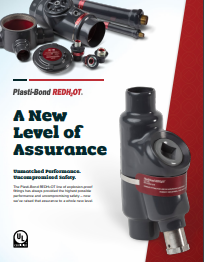 Plasti-Bond is ETL-Verified for product performance and reliable longevity --- ETL-Verified PVC coated conduit provides product service life lasting 10 times longer than those who do not carry the ETL PVC-001 label. 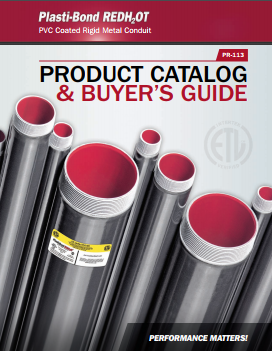 Additional features include our V-Seal® gasket with special interlocking “V” groove which is the most effective way of preventing corrosion damage by sealing PVC coated Form 8 Conduit Bodies.